The Ugg Boot or just Uggs is a generic term for a style of sheepskin boot which has been produced in Australia and New Zealand for almost 200 years. Originally the were called "Ug or Ugh Boots" which is short for "Ugly". However an American Importer (Koolaburra) presented the idea that the name Ugg comes from the way that the boot "hugs" the wearer's foot and legs. 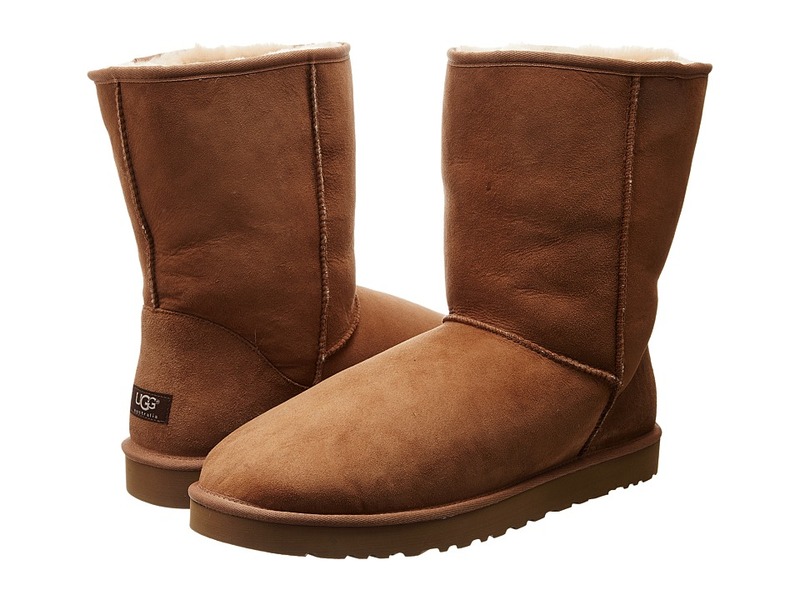 However because of trademark issues, Uggs are more often than not known in the retail world simply as Sheepskin Boots. Originally in Australia and New Zealand this comfortable and warm footwear was being worn by social groups such as Bogans, westies and Bevans in public. However, most other Australians would only wear them around the house or at the most just on a trip to the local shop. The boots certainly became popular during the 1960's with surfers and competitive swimmers as they kept them warm whilst out of the water. It is thought that many popular Australian actors/actresses have probably being wearing Ugg boots in private for some time, it was only when Pamela Anderson started wearing a pair that she had acquired in Australia to help keep her legs warm during breaks in filming the popular television show Baywatch, that it is thought people in the USA started to take an interest in these boots. 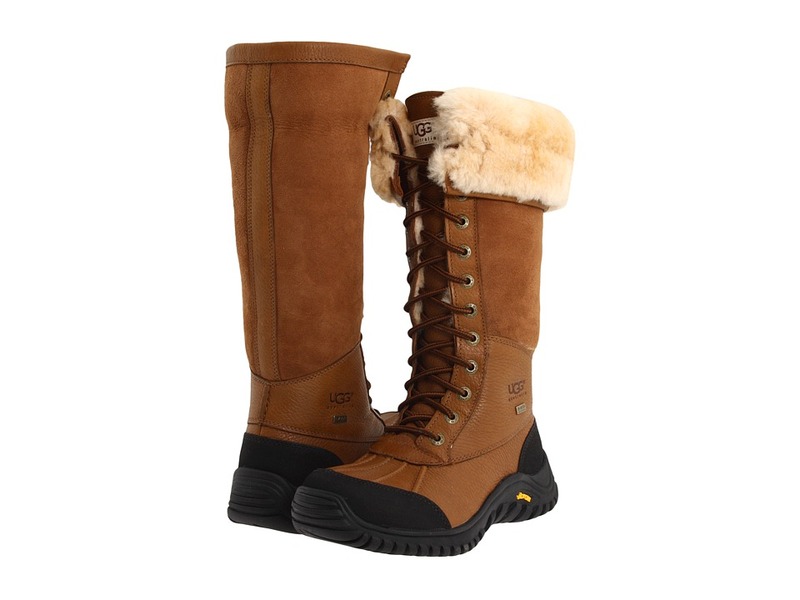 However, since 2003 the boot has become very fashionable in America because of the marketing of the product by an American Company called Ugg Australia (a section of the Deckers Outdoor Corporation). The Ugg Australia Brand was created by Brian Smith who began importing to the USA in the late 1970's. He then sold the company to Deckers Outdoors in 1995. Actresses such as Kate Hudson (pictured wearing them on a poster for Raising Helen in 2004) and Sienna Miller seem to have increased their popularity. This style of footwear has now become a major product in most major department stores and shoes stores across the globe. Certainly some of the more popular brands available are the Emu, Koolaburra, UGG and Warmbat. However, in Canada it was found that the Ugg boot has become extremely popular with girls at many of the Universities in Ontario as well as on many US campuses. However, there have been a number of issues that have arisen over the trademark of the Ugg Boot and for some time the trademark "ugh-boot" was owned by the Deckers Outdoor Corporation in Australia and because of their also holding additional international trademarks relating to the product they were able to limit the term's use in Australia and because of this they were able to successful sue other Ugg Importers (Koolaburra most notably) for using the term. The Deckers versions of Ugg Australia, Emu, Old Friend and Aussie Dogs are now made in China (some models are sill being made in New Zealand). However, those produced by Koolaburra and exported to the USA are still made in Australia. Because of the US trademark laws you will find that many Australian and US manufacturers who produce this style of footwear are now marketing them as "Sheepskin Boots" rather than "Ugg Boots". But in January 2006 the owners of Uggs-N-Rugs (Australia) were able to have the Deckers Outdoor Corporations Australian Trademark for Ugh-boot removed from the Australian Trademarks Registry. This resulted in the decision that the words "Ug Boots", "Ugg Boots" and "Ugh Boots" could be interchangeable and were a generic term for "Sheepskin Boots". However, there was a large amount of controversy over this matter as many Australians and New Zealanders were opposed to having "Ugg Boots" trademarked.